Copper branches have sterling silver melted and fused to them. 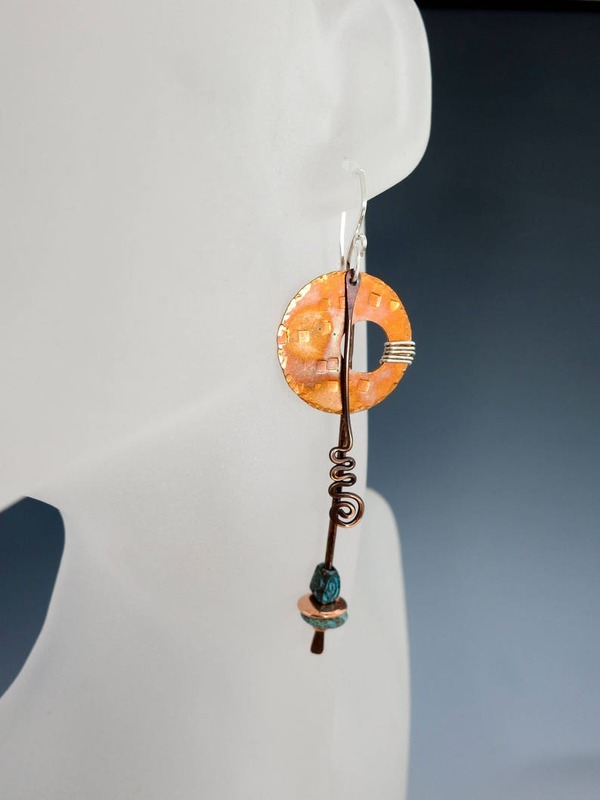 A copper curlicue and a mix of verdigris and silver beads add interest to these unique mixed metal earrings. The drop from the top of the sterling silver earwire is 4 inches. The earwires are sterling silver. This is a one of a kind pair and ready to ship. Like to make your own earrings? Check out my supply shop www.supplyyoursoul.etsy.com to get these earwires and stones, wire and everything you need to make your own special earrings!